I’m having a problem with the =QUERY(IMPORTRANGE()) formula while retrieving a column data from one spreadsheet to another. I want to retrieve data from the column2 spreadsheet(A) to column2 spreadsheet(B) where column1 spreadsheet(A) is equal to the column1 spreadsheet(B). 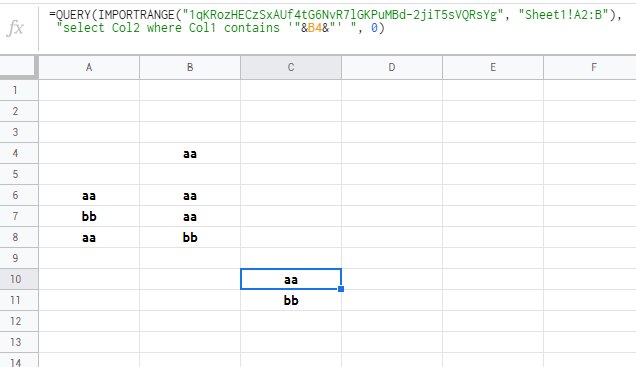 If you want to retrieve whole column A, instead of "Sheet1!A2" use "Sheet1!A:A"